We have Classic League Soccer in Brownsville and New London in addition to our Rec Leagues in Greenville, New London and Brownsville. Classic Soccer for spring is available in Brownsville ($125) and New London ($150) area satellites. Please check out the New London and Brownsville tabs at the top of the page for details or Register Now. 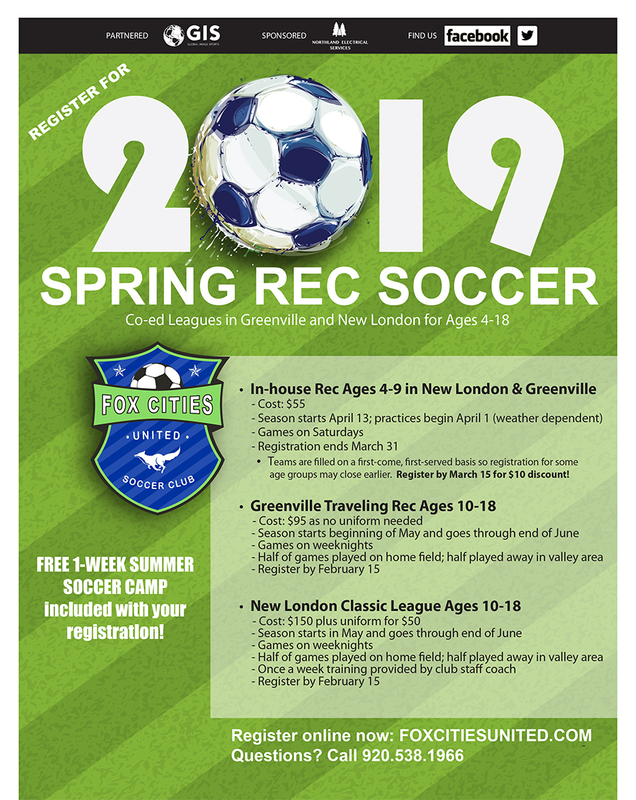 Spring Rec information below for Greenville and New London. Registration for 2019 now open. Register Now or call for information: 920-538-1966.